Anguilla is an island whose people are dedicated to great eating. 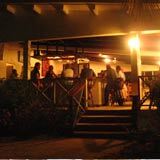 From a local neighborhood bar-b-q to "haute cuisine", almost all Anguilla restaurants are bound to please your palate. 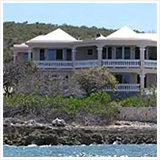 Anguilla, of course, is renowned for its 5 Star, super high-end restaurants. After all, they have to keep folks like Robert DeNiro and Paul McCartney coming back, right? #1) The most expensive eateries ($$$) don't always beat out the non-wallet breaking ones ($). #2) Our "unknown finds" offer, in some cases, better eating than several of the "tourist-famous" institutions. 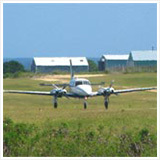 Anguilla has excellent dining options at all price levels. Let's begin our culinary journey at the top, for which Anguilla is famous. TIP: Want more Anguilla restaurant recommendations? Check out our Instagram page, Anguilla Food! When it comes to Anguilla's luxury restaurants, there is striking variety in terms of both setting and cuisine. Five-star beach shacks serving fresh-caught, grilled crayfish and lobster, dripping with secret buttery sauces derived from family recipes, are not to be missed. The island is home to some of the finest Italian food and French food, as well. Many restaurants blend familiar American flavors with exotic Caribbean cuisine. Some even experiment with Caribbean-Asian fusions. 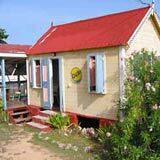 Others are true to their domain, specializing in authentic Caribbean cuisine. One of my favorite parts of dining in Anguilla is discovering "the little things" that show great attention to detail and care for the craft. A remarkable East End restaurant has a unique collection of aged Caribbean rums and wine, composed of some of the oldest and most hard to find bottles. Delivering a five-star experience with five-star ingredients is no easy feat on a small island where everything is imported. Anguilla's restaurateurs pull it off with aplomb. For instance, one Anguilla restaurant sources only the finest feta from Australia (home to the second largest Greek population in the world - who knew the Greeks in Australia have the best handle on how to make feta?). Another sources its ice cream from a local individual, whose secret formula has been a family secret for generations. More often than not, exploring the full menus at Anguilla's high-end restaurants yields fascinating finds. There are countless treasures in Anguilla's restaurants. No doubt about it... Anguilla delivers the finest dining in the Caribbean. Its chefs have the gold medals from the "Best of the Caribbean" contests to prove it. More on Anguilla's National Culinary Team. We are partial to restaurants that are located beachside, putting you totally at ease with wonderful views and the serene, lulling, rhythmic sound of the sea. Those located inland are virtually guaranteed to offer outstanding dining at lower prices. Either way, you win! Anguilla restaurants are world-class. I have divided the island into 3 sections, "The Center," "The East End," and "The West End." Each part of the island is perfectly safe. 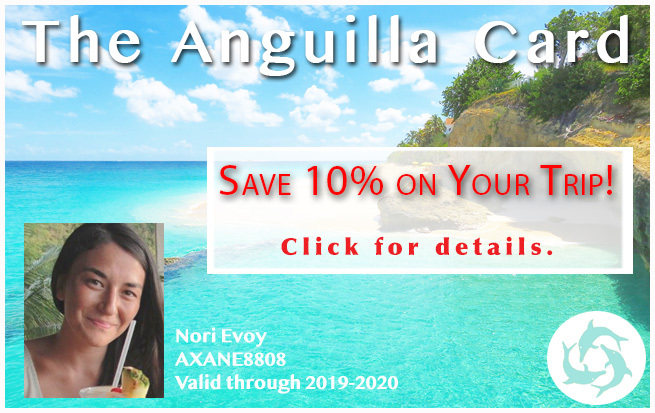 You can easily rent an Anguilla rental car, drive without worry and be truly spoiled by dining in every corner of this beautiful island. Click the following links to "taste" Anguilla's high-end restaurants in each region. Veya This is one of Anguilla's most talked about restaurants. With a picturesque tropical tree-house setting, Veya is one of the prettiest restaurants on the island, serving the most innovative dishes for "true foodies"! Meze Owned by Carrie and Jerry Bogar of Veya, it is safe to say that these restaurateurs have done it again! This time, with a Mediterranean focus. Gourmet, quality plates for sharing make up the menu and the vibe is distinct with Moroccan-flare. 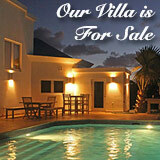 da'Vida da'Vida is Anguilla's finest addition to the island's list of luxury restaurants. It has an ambience and a setting that rivals any 5-star restaurant in St. Barts, located on Crocus Bay, a beach more spectacular than any St. Barts setting, and with the warmest hospitality. Do not miss da'Vida for lunch, dinner and tapas. Blue Bar Specializing in gourmet pizzas, Blue Bar serves up savory, perfectly cooked pies (in their imported gas/fire oven) and mouthwatering nightly specials (one special is served every night and varies from night to night) in an elegant atmosphere overlooking scenic Crocus Bay. Tasty's This Anguilla restaurant is one of the island's best-loved institutions, owned and run by Chef Dale Carty. Open daily (except Thursdays) for breakfast, lunch and dinner since 1999, it just may be our favorite spot for breakfast, and a can't-miss for an authentic Anguilla dinner. Palm Grove One of our first discoveries back in 2002 when we started vacationing in Anguilla, Palm Grove is a favorite. 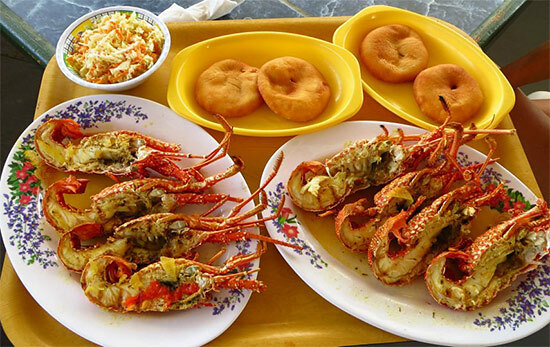 A wooden shack on the beach, serving fresh-caught grilled crayfish and hot Johnny cakes, the food and location is hard to beat. The owner, Nat and his son, Theon, make great company, too. My Dad always looks forward to long chats with Nat over a rum punch. Scilly Cay Scilly Cay upgrades the traditional Anguillian BBQ, transforming it into a luxury experience to remember. 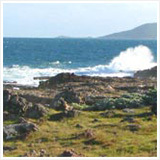 Scilly Cay is all about the setting. On an island all its own off of the picturesque fishing harbor, Island Harbour, the shores are shallow, still, sandy and always a clear turquoise blue. Is there anywhere so peaceful? Hibernia This very high-end, East end Anguilla restaurant has had terrific reviews. And it lived up its reputation with us, too. 20 Knots Laidback luxury at its finest, Zemi Beach House's 20 Knots restaurant brings Latin-Caribbean flavors and a luxurious touch to Shoal Bay East's beachfront for lunch and dinner. 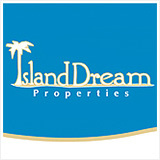 Serenity Located on the corner of Shoal Bay East, Serenity has a desirable location. Serenity serves breakfast, lunch and dinner. Cafe Celeste at Malliouhana THE restaurant that set the pace for Caribbean fine dining in the 1980's, Malliouhana's restaurant is BACK. Award-winning Chef Jusman So brings sophisticated French-Caribbean dishes (and a personal "top 3 favorite dishes" of all time!) 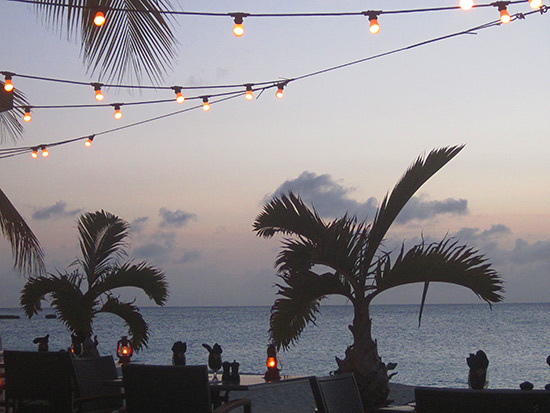 to one of Anguilla's most romantic dinner settings. Jacala Set on the sandy shores of Meads Bay, Jacala offers an exceptional Anguilla dining experience. Jacques and Alain, who formerly worked at Malliouhana restaurant, have created a project of their own, a true Caribbean-French fusion experience, with personal five-star service. Be sure to try Chef Alain's steak. Between Montreal and New York, it's one of the best steaks I have ever had. Tokyo Bay at CuisinArt Golf Resort & Spa Tokyo Bay is Anguilla's first and only fully-focused Japanese restaurant, serving sushi, sashimi, teppanyaki and other specialties. The restaurant is located in CuisinArt Golf Resort & Spa's Spa building, fully air-conditioned, with a more modern and sleek look. Drawing on what is available locally, the food is mouthwateringly fresh and delicious. Not to be missed, especially for lovers of Japanese cuisine. Blanchards Probably the most famous of all Anguilla restaurants, due to their books. We ate there on the last night of our first trip to Anguilla. We have recently tried Blanchard's again, and had a phenomenal meal, from the food, to the ambience, to Bob and Melinda's kind hospitality. Their restaurant encapsulates the passion that shines through in their book, A Trip to the Beach. Mango's A "deluxe beach bar-restaurant" on Barnes Bay. My Dad has been for dinner several times and has great things to say about it. We have also gone as a whole family. Mango's has become a favorite Anguilla restaurant for dinner. Mango's also delivers a five-star lunch experience, highly recommended for those seeking a quieter, more private and calm beach day and lunch. Trattoria Tramonto Setting eyes on this wonderful west end Anguilla restaurant was love at first sight. Trattoria Tramonto is an upscale beach bar with a relaxed, unpretentious feel. The restaurant is a favorite for its combination of atmosphere, service, and Italian cuisine! Straw Hat My parents were the first to dine at this delectable eatery. This was the only 5 Star restaurant that my dad raved about. Since, Straw Hat has become one of our go-to restaurant for an excellent meal out... from the food, to the seaside setting, to Peter and Anne's company, it's one of our top three favorite restaurants. Santorini at The Clubhouse At CuisinArt's signature restaurant, Chef Francisco Pico blows minds with haute-cuisine Mediterranean fare. Think: Octopus carpaccio, finely sliced and topped with a drizzle of onion and lemon, and rack of lamb with a garlic confit. With a most elegant setting and CuisinArt's excellent service, it is five-star dining in every way. Mosaic at CuisinArt Golf Resort & Spa CuisinArt's pool-side eatery, Mosaic serves up exquisite dining all day long inside a modern and elegant atmosphere. From the lobster mac & cheese, to the artisan pizzas prepared in the oak wood oven, to the 10oz. dry aged steak, Mosaic boasts tremendous variety, all done well. 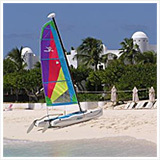 CuisinArt's Beach Bar & Grill A luxurious day at the beach? 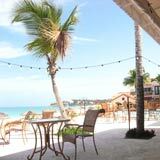 CuisinArt's expanded Beach Bar & Grill delivers. Serving up Caribbean specialties from across the region, and complete with couches and cabanas for post-lunch snoozes, it gets our vote for a top way to spend a most indulgent day at the beach. Bamboo Bar & Grill at Four Seasons Anguilla One of Anguilla's most elegant beach bars, Bamboo Bar & Grill at Four Seasons Anguilla blends laid-back with luxury in its upscale beachfront restaurant. Refined beach eats is the order of the day, with vegetarian and gluten free options available. With friendly and efficient service, this dining experience is exceptional in every way. Sunset Lounge at Four Seasons Anguilla Anguilla's "it" bar, Sunset Lounge has long been the place to see and be seen. Chic, with a jaw-dropping sunset view, its Asian cuisine and innovative cocktails complement the setting. With Four Seasons' improvements to the seating and service, Sunset Lounge is one of the island's best for light bites and unparalleled views. Cobà at Four Seasons Anguilla Staggering views of the open Atlantic Ocean and Meads Bay set a grand stage for Four Seasons' signature restaurant. As show-stopping as its exterior, Cobà's interior has been expertly designed, with chic and comfortable seating and an exceptional menu that is locally-inspired. Open for breakfast and dinner, dinner at Cobà is always a special experience. Breezes at The Reef Anguilla's first beach lounge, Breezes hits every high note. A comfortably luxurious and spacious terrace steps right onto the sands of secluded Merrywing Bay, boasting bold views of the Caribbean Sea and St. Martin. With DJ Michael spinning tunes and an excellent menu by passionate Executive Chef Jasper Schneider, it is a "must" for lovers of beach lounging. The Yacht Club at The Reef The Reef's fine dining restaurant, the Yacht Club is arguably Anguilla's most glamorous dining room. Marked by a regal staircase, complete with bubbling fountain, crisp white walls and wood accents, the room transports you to a sailing boat on the high sea. Its menu is inspired by the ocean, with exceptional seafood creations. Clubhouse Grill Open for lunch, CuisinArt Golf Resort & Spa's Clubhouse Grill services classic clubhouse food in a big, beautiful, breezy setting. Overlooking the rich, green fairways, with the Caribbean Sea and St. Martin in the distance, it makes for the perfect venue for an afternoon cocktail and tasty snack (don't miss the jerk oxtail empanadas!). Cap Juluca's Pimms Any "most romantic dining experience in Anguilla" list would be incomplete without the mention of Pimms at Cap Juluca. Set right on the water's edge, overlooking some of the most beautiful turquoise seas on-island, and with an award-winning chef on-site, it's a "must" for lovers. Maunday's Club Belmond Cap Juluca's Maunday's Club is proof that you can improve on perfection. Maunday's Club has long been a favorite for sunset cocktails and light bites. Today, Belmond takes the entire space to new heights - from ambiance to cuisine. With Peruvian tapas on the menu (Anguilla's only Peruvian restaurant) and a memorable champagne sunset tradition, it wins on every level. Breakfast at Belmond Cap Juluca Looking for a magical way to start your day? Look no further than Belmond Cap Juluca's breakfast buffet. With a myriad of breakfast treats and a top view of Maunday's blue, this is a high-value breakfast in Anguilla! JULIANS - A Tropical French Bistro at Quintessence Hotel Chef Dominique Thevenet blends Caribbean and French influences, creating an inspired and imaginative menu. One of Anguilla's most high-end dining experiences, it is no surprise that JULIANS and its hotel, Quintessence are a Relais & Châteaux. 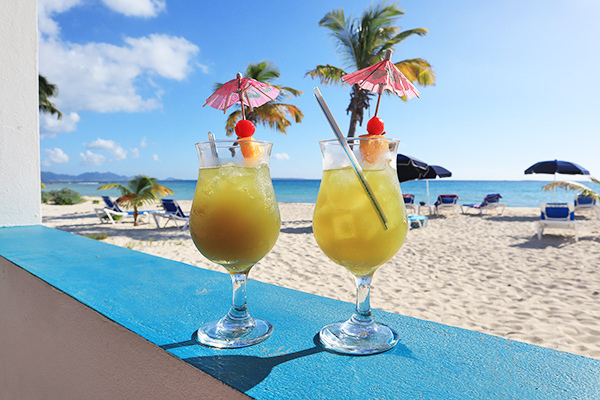 Each year, most restaurants and hotels in Anguilla close from August-November to get ready for the upcoming season. Everyone is hard at work repairing and enhancing. To keep you totally up to date with which restaurants are open during your stay, we update our list of restaurants' closing and re-opening dates each and every year. More on off-season hours. The Restaurant at Malliouhana Formerly of Covecastles, and a man whose cuisine has been raved about by the likes of CN Traveler and Robb Report, Executive Chef Marc Alvarez brings innovative, gourmet dishes to The Restaurant at Malliouhana. Matched only in quality by its refined ambiance, it is five-star in every way. Sunset Bar at Malliouhana Effortlessly chic with never-ending views of Anguilla blue, Malliouhana's Sunset Bar is one of the most blue-tiful spots in Anguilla. Open for lunch, drinks and tapas, it has long been a favorite for a libation and light bites. CuisinArt Golf Resort & Spa's Lobby Bar CuisinArt's Food & Beverage team has breathed new life into CuisinArt's Lobby Bar cocktail menu. With a focus on using ingredients readily available from CuisinArt's on-site gardens, their new drinks are fun, elegant and utterly refreshing! Chef's Tasting Menu at Le Bistro at Santorini We put ourselves in Chef Jasper's passionate hands and try Le Bistro's signature Chef's Tasting Menu. An unforgettable meal, it was one of our family's best ever. Italia at CuisinArt Golf Resort & Spa Italia is one of the island's most authentic Italian restaurants. With Chef Biagio having been brought in from Italy, the dining brings you back to the South of Italy. Appetizers, mains, desserts and post-meal drinks, from start to finish, Italia delivers a five-star fine Italian dining experience. Le Bistro at Santorini Modern and creative, Executive Chef Jasper Schneider is re-defining high-end dining in Anguilla with this luxurious restaurant. Think oysters on the hallf shell topped with a whipped shallot mignonette, open-face foie gras sandwiches. With a fine attention to detail and innovative concepts, Le Bistro delivers a unique upscale dining experience. Café Med at CuisinArt Golf Resort & Spa Set overlooking the sparkling pool at CuisinArt Golf Resort & Spa, Café Med is a favorite for its lofty ambiance, view of St. Martin and terrific menu. If you are looking for an ultra-fresh salad, this is the spot to come. Produce is sourced from the resort's on-site hydroponic gardens. You can taste the freshness with every bite! Not hungry for salads? CuisinArt's Executive Chef Jasper Schneider has plenty of exceptional gourmet options available for lunch. Smokey's Set on wide and clear Cove Bay, with sweeping views of St. Martin, Smokey's is a relaxing spot for lunch. Try the fish sandwich! Covecastles Restaurant With a wood and gas oven, Covecastles Restaurant boasts artisan pizzas (some of the best on the island) and a number of inspired main dishes. If you are looking for a tranquil and gourmet dining experience for breakfast and lunch, look no further. Pop Up Restaurants The concept of pop up restaurants has reached the shores of Anguilla! Pop up restaurants in Anguilla has been introduced by the highly revered Chef Denise Carr who has established some of the island's most popular dining concepts, including CuisinArt's Chef's Table, SandBar and De Cuisine. Today, she carves a new path with her remarkable and high-value De Chefs Table pop up restaurant events. Held in May 2017, Chef Denise shows off Anguilla's local ingredients with a menu that celebrates eating local. With a gourmet 7 course meal, prepared with 90% of ingredients from Anguilla's waters and terrain, Chef Denise's opening event sold out in a flash. The Barrel Stay Right on the shores of Sandy Ground, you'll find two Brits who "chucked it all" for this flawless restaurant, the Barrel Stay. Be sure to take the "sunset tip" and have a second helping of the "apple tarte tartin!" De Cuisine Expert restaurateurs Joash Proctor and chef Denise Carr's latest establishment, De Cuisine delivers a unique, gourmet culinary experience from start to end. In an unexpected location in a strip mall on the island's main road, a visit to De Cuisine is well worth worth it for the haute-cuisine and excellent service. Zara's With Chef Shamash, Zara's delivers one of the happiest, warmest and most unique dining experiences on the island. Zara's is one of Kristin Bourne's favorite restaurants on the island, and it's not hard to see why. The freshest foods, combining amazing flavors, set in a cozy restaurant, it's one that should be top of mind for everyone visiting Anguilla. Viceroy Anguilla Sunset Lounge Set in Viceroy Anguilla's elegant ambience, The Sunset Lounge's open air concept perfectly complements the lounge's vast views of Barnes Bay. With innovative cocktails, and the best sushi you can get on the island, The Sunset Lounge has become one of our favorite spots for a sunset drink and a light bite to eat. Sunset Lounge is now managed by Four Seasons. Full review on Four Seasons' Sunset Lounge here. Viceroy Anguilla Bamboo Bar & Grill A top-notch, high-end lunch spot, Bamboo Bar & Grill at Viceroy Anguilla is an option to consider if you're looking for a "delicious and nutritious" lunch (they have one of our favorite salads! ), right on the beach. From bagels and fruit to pizzas and salads, this restaurant is a best bet for breakfast and lunch when you sit spectator to a beautiful view of Meads Bay! Bamboo Bar & Grill is now managed by Four Seasons. Full review on Four Seasons' Bamboo Bar & Grill. Viceroy Anguilla Half Shell Tucked-away on Barnes Bay, Viceroy Anguilla's tiny Half Shell restaurant is a favorite for many. 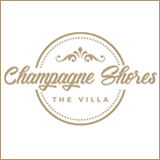 Right on a breathtaking beach, serving Mediterranean food (some of the best hummus on the island! ), and friendly service, Half Shell is a top choice for a quiet, soothing lunch. Half Shell is now managed by Four Seasons. The elegant beach bar serves up excellent beach eats, including a terrific lobster roll! Famiglia... An Anguilla Resort Restaurant This classy restaurant was recommended to us by a dear friend and editor of Anguilla Life Magazine, Claire Devener. It is located in CuisinArt Resort's serene setting and delivers quite a meal! The idea is Mediterranean. The restaurant's concept and menu revolves around Mediterranean food and the way you eat when you're in the south of Europe: Share! Oliver's Our family had an absolutely wonderful meal here. The ambience is relaxed and breezy. When you make reservations, ask for a table by the edge of the terrace. It overlooks Long Beach Bay, with sensational views. And if you are a family of four (or a hungry couple), phone at least four hours ahead of time and order their "Home Style Rock Oven Baked Whole Free-Range Chicken." Stuffed with gingered sweet potatoes, it was absolutely delicious. And the price was the best deal on the menu, too. AXA Seafood House Anguilla's first seafood-centric restaurant, the aptly named high-end AXA Seafood House is for true lovers of everything seafood. From New Brunswick oysters, to crab cakes, to lobster mac and cheese, to seafood paella, the choices are endless. One visit is certainly not enough! The Overlook Best combination of vista and great food. Literally out on a ledge, I don't know which is more sensational, the panoramic view or the magnificent meals. Italian Cuisine For Lunch at CuisinArt In 2016, Clubhouse Grill changed things up with an excellent Italian menu. It became Italia. Coté Mer Like Straw Hat, my parents beat us to the Coté Mer rum punch! The restaurant has changed hands to new French owners Stephane and Thomas. They have reinvented the meaning of "Coté Mer," creating a five-star Mediterranean eatery that quickly became one of my parents' favorite spots before becoming a now family wide obsession! 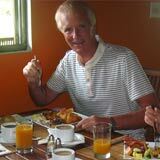 Altamer Hungry for a high-end Anguilla breakfast? Altamer certainly delivers with hospitality, service and delicious food. Try the specialty! Koal Keel Built in the 1700s, Koal Keel hasn't lost any of its magic! This Anguilla restaurant went through some rough patches, and was closed for a while, but it was restored and is now open for business. It is here, where My family and I experienced the most beautiful (and tasty!) meal on all of Anguilla. In case you are wondering, here is our philosophy on Anguilla restaurant reviews. You may approach food and restaurants differently. 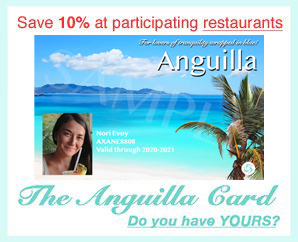 We'd love to read your Anguilla restaurant experiences. Do you agree or disagree with our family's opinion? Which restaurants have you tried? 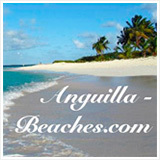 Click here to share your Anguilla restaurant reviews. 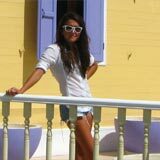 ... and don't miss this fun list of "top 7 dishes in Anguilla" by NYC food blogger, Ziggy! If you have a "favorite" hot dog, crayfish or french fry to add to our "quick list" of top eats in Anguilla, click here to add it to our Anguilla guide to top eats! And finally, please note that you will find a Facebook comments box at the end of every review. If you are not in the mood to write a full review, please add a comment or two... agree or disagree!